Height: 10 to 50 ft.
Trunk Diameter: 2 to 12 in. Longevity: 30 to 40 yrs. 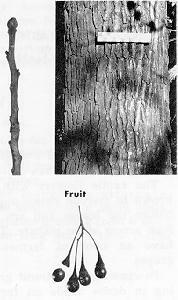 Tea may be made from boiling pieces of the outer bark from the roots. 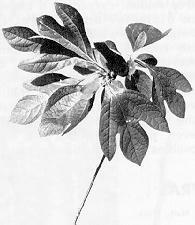 Sassafras oil is used in some soaps. Twigs browsed by rabbits and deer. Fruit eaten by songbirds, bobwhite, wild turkey, and bear. Wood was once used for barrels, buckets, posts, small boats, dugout canoes, and fuel.